Why are so many individuals pre-planning their funeral arrangements? Many people today decide to make funeral planning easier by arranging funeral services in advance. Recording information and documenting requests before the time of need spares your family the responsibility of making funeral arrangements on what may be the most difficult day of their lives. A carefully pre-planned funeral service can be comforting to your family members as it spares them from facing emotionally and financially difficult decisions at the time of death. When services have been decided before need, you and your family can have peace of mind, knowing everything has been planned just as you selected. 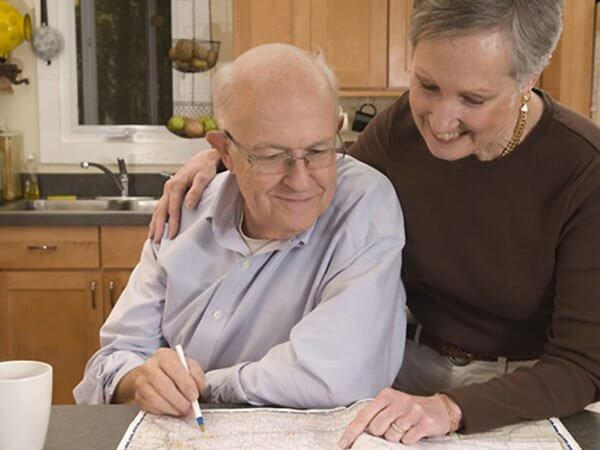 Planning ahead can be done in a short time from the comfort of your own home, or at DeRoo Funeral Home. All arrangements are kept in complete confidentiality. DeRoo Funeral Home offers a full range of services and competitive prices to meet the needs of the families we serve. When preplanning, it is your choice to prepay your funeral expenses or pay at the time of need. The benefit of paying in advance is that the arrangements you select are secured at today's prices. We guarantee to provide the service of your choice, without any additional cost to you or your family, no matter when the service is needed.